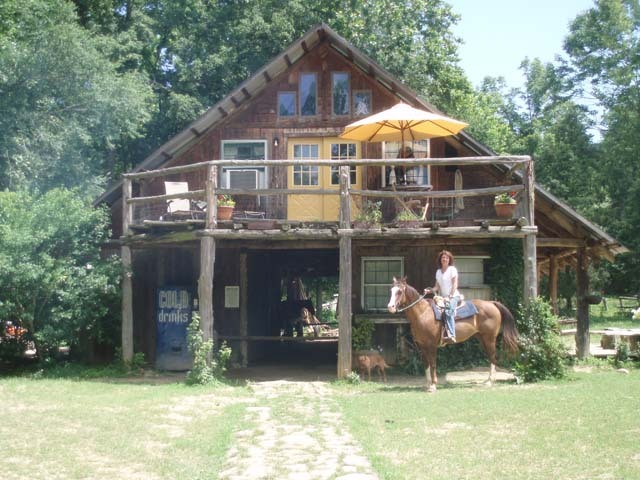 The barn loft is a large completely furnished two bedroom apartment -sleeps 9 people, gas fireplace, a/c, stove, microwave, frige, claw foot tub w/shower, dishes, pots & pans, linens, dvd, game room, campfire area w/firewood, charcoal grill. The deck overlooks the horses pasture. Private Lake access and use of zipline, paddle boat, canoe and water activities are also included.